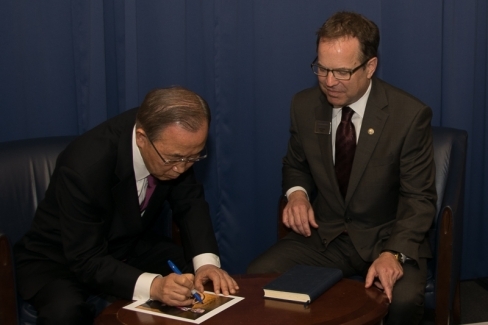 U.N. Secretary-General Ban Ki-Moon signs his photo for the Club's wall before his dinner address to the National Press Club, April 16, 2015. 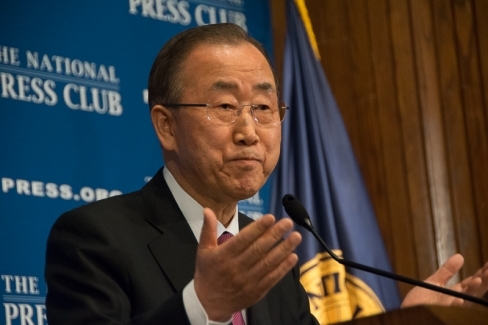 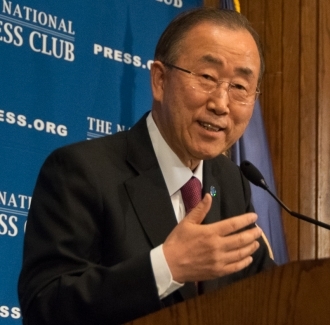 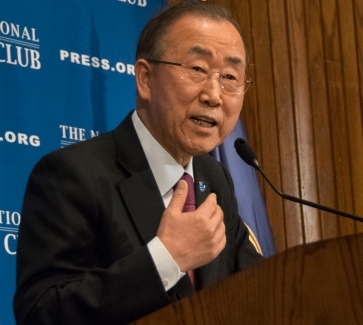 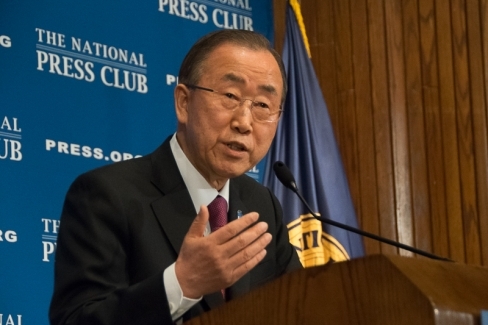 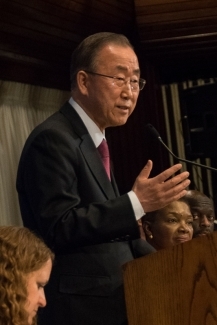 Ban Ki-Moon, Secretary-General of the United Nations, delivers an after-dinner address to a full house at the National Press Club, April 16, 2015. 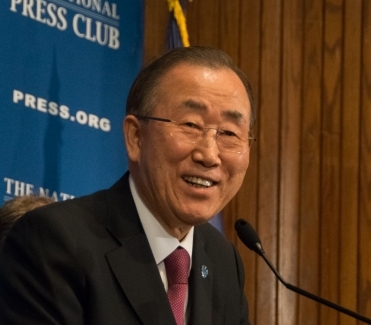 United Nations Secretary General Ban Ki-Moon smiles as he answers questions from the audience following his after-dinner speech at the National Press Club, April 16, 2015.